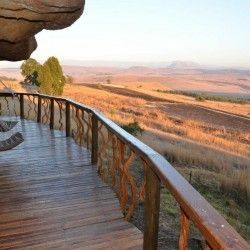 Mountain Creek Lodge in Hazyview is situated in the peaceful mountains of the Sabie River Valley, one of the most scenic areas in the Mpumalanga province. The lush warm valley, citrus scented orchards, indigenous bush, birdsong and the soothing sounds of flowing water combine to provide a serene and tranquil environment for stressed city slickers. 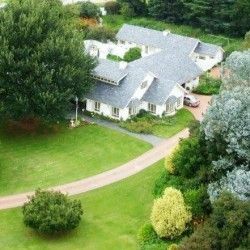 Mountain Creek Lodge can accommodate a total of 24 people in a selection of self-catering units, each equipped with DSTV, braai areas and private verandas. 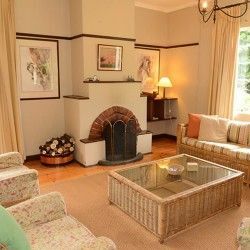 The main house is a spacious 4 bedroom house which can accommodate up to 13 guests sharing. 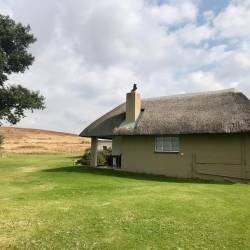 The house has 4 bathrooms, 4 en-suite bathrooms, a fully equipped kitchen, dining room, sitting room with fireplace and a boma braai area with a fire pit. 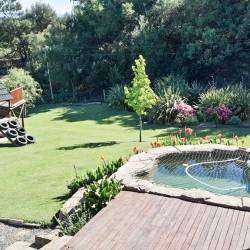 A refreshing pool is situated under tall trees in the garden. Chalet 1 can accommodate 2 people (and a child on a sleeper couch). The unit has a kitchenette, dining room, sitting room and bedroom with full bathroom. The braai facility is located on a private veranda outside the dining area. 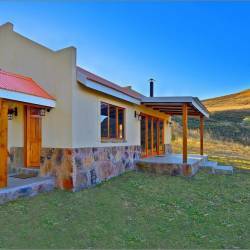 Chalet 2 is a cosy 1 bedroom unit with a full bathroom, kitchenette and a private veranda with dining table and a built in braai. 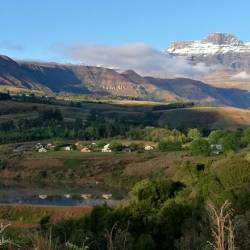 Chalet 3 is suitable for 2 people and consists of a bedroom, bathroom with 2 showers, a kitchenette and a braai on the furnished veranda. Chalet 4 can accommodate 2 adults and 2 children sharing a sleeper couch. This unit has a bedroom, full bathroom and open plan area with kitchenette, dining area and sitting room. The private veranda is equipped with patio furniture and a built-in braai. 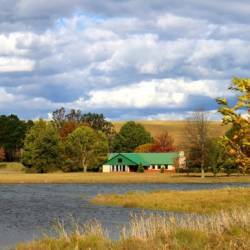 Mountain Creek Lodge also has 2 private caravan/camping sites which have electricity, a private bathroom, kitchen and braai area with fire pit. There is a well-stocked dam on site to keep the anglers entertained and the world renowned Kruger National Park is a mere 20km away. For the adventure enthusiasts, the nearby Induna Adventure centre offers a selection of adrenalin pumping actities including zip line, abseiling and river rafting.